Our programs are uniquely designed to meet the needs of the whole family at each stage of the cancer journey, from diagnosis through treatment and beyond. The foundation helps Alberta children and families by providing funding and programs in these key areas: Camp and Outreach; Research and Hospital; and Education Support and Scholarship programs. We all have friends, family or loved ones who have been impacted by cancer and all of us, at one time or another, have been pulled into its devastating wake. Cancer is horrible, but there is nothing more unfair than a cancer diagnosis of a child. 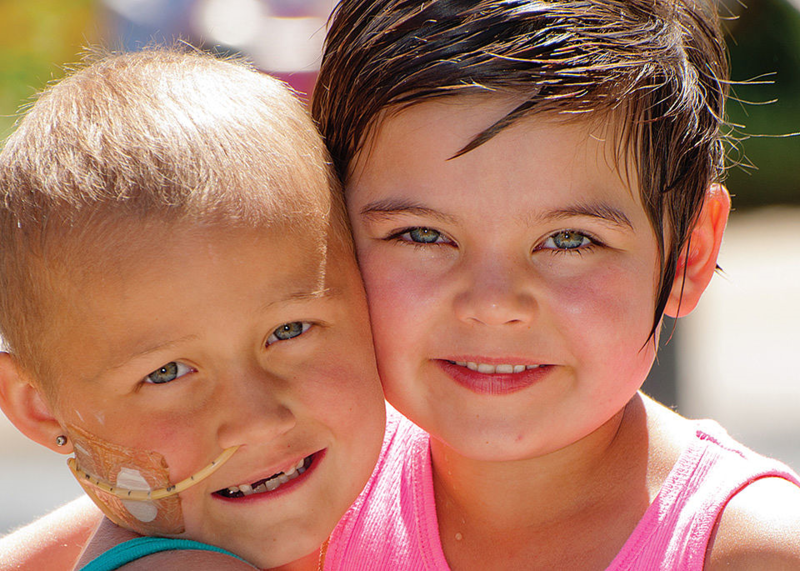 We invite you to be a part of a community of people dedicated to ending childhood cancers. Together, we CAN make a difference. We can show these families they are not alone, that we care and that there is hope. The movement starts here and it starts now. Our Vision A cure for every child, care for every family. Our Mission Kids Cancer Care is passionately dedicated to helping young people affected by cancer and their families survive and thrive in body, mind and spirit. We are guided by five deeply held core values. We strive to ensure that these values fill our work and our relationships every day.